If you need glass replacement for your home, Best Glass is fully Licensed, Bonded and Insured for your peace of mind. Maintaining an A+ rating with the Better Business Bureau since our start in 1991, we're committed to doing business right and putting your safety and security needs first. Whether it's replacing a broken window, a spoiled insulated unit, an outdated shower enclosure or installing new energy efficient windows, Best Glass has the experience and competitive price for residential glass you're looking for. At Best Glass we do more than just replace broken glass. With options for anything from glass tables, counter tops, shelving or decorative cabinet inserts, we can accommodate any designer element you may be looking for. Every room in your home can benefit from the added touch that decorating with glass and mirror can provide. Interested in learning more about residential glass? Watch this short demonstration of how glass is made. Visit our showroom and check out numerous samples. 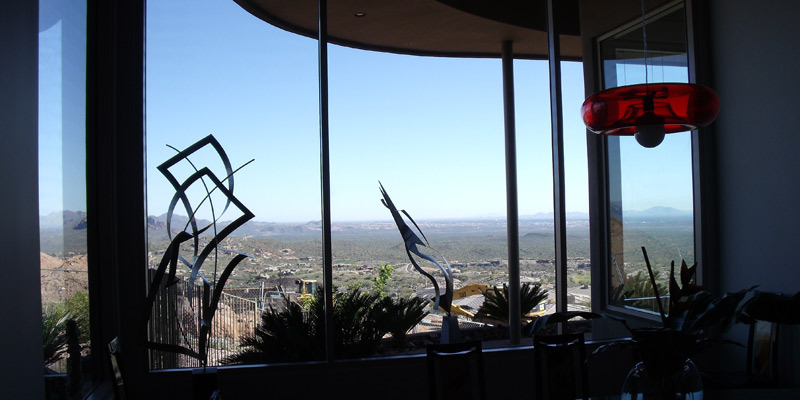 To speak with one of our residential glass experts today, call 602-437-2378 or contact us online. Our Quality and Service are not just perceived, they're measurable. Professional Estimators, Experienced Glaziers, Expert Project Management and proven glazing systems combined with value engineering, on-time deliveries, written Workmanship Warranties, and proven Customer Satisfaction are all proof that we don't just talk about Quality & Service, we deliver it! We go out of our way to meet your needs. FREE phone estimates, in-home consulting, friendly, courteous customer service, Direct Insurance Billing and convenient payment options are just some of the ways that we let you know how much we value you and appreciate your business. With our extensive expertise in glass and installation, we are here to answer any glass related question you may have. No question is too silly or too hard. Call us at 602-437-2378 or contact us by email. For our address and a map of our location, click here. It's our way of saying THANKS for trying Best Glass. I just had your glazier install a mirror for me at my home and he was terrific. I have a lot of projects going on right now and so many of the people working for me have been anything but terrific. In fact, they've been mediocre at best. I really appreciated your employee. He was courteous and helpful and I wanted you to know. Licensed, Bonded and Insured for your protection and peace of mind. Hablamos Español. © 2005 - 2019 Best Glass, Inc, All rights reserved.